If there’s something strange in your neighbourhood, who ya gonna call? That’s right, Ghostbusters; not Entity’s group of so-called paranormal enthusiasts who look like they would struggle to handle an episode of Goosebumps, never mind ghost-hunting in an abandoned building full of evil spirits. 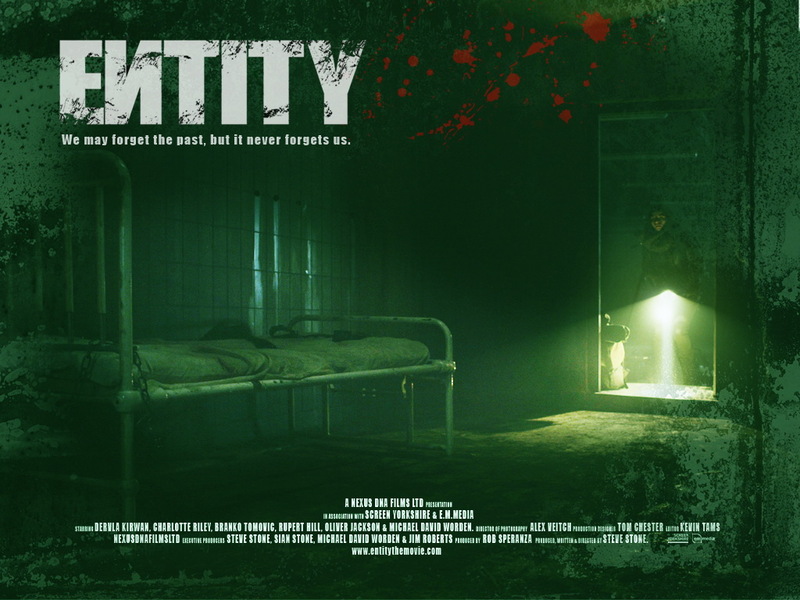 Shot using a “found footage” style, Entity follows the story of a British television crew looking to investigate a site where 34 unidentified bodies were found in a remote Siberian forest and subsequent police investigations failed to offer any plausible explanations. There are moments of real promise and imagination from first-time director Steve Stone, who also wrote the screenplay, but the film soon decays into horror clichés, aggravating characters and apathy. Entity opens encouragingly with sinister and macabre surveillance footage of a man screaming in anguish. We soon learn the man is the main “entity” Mishka (Micheal David Wordan). Wordan has a dialogue-free role and puts in an outstandingly, menacing performance but he is not on screen enough. As the most interesting character, he is never properly explored. Instead we are led by Ruth (Dervla Kirwan), a pretentious and self-indulgent psychic, and the production team comprised of Kate (Charlotte Riley), Matt (Rupert Hill) and David (Oliver Jackson). Along with them is Yuri (Branko Tomovic) who claims to have a strong interest in the apparent ghostly goings on. They hang on Ruth’s every word and continuously feed her never-satisfied ego as you are dragged along an elaborate worship of an extremely irritating character. The script gives too much attention to this overbearing and unlikeable character; we are meant to be rooting for her, but she quickly becomes tiresome. Riley, on the other hand, is a talented actress but left with little room to show much proficiency given her one-dimensional character and wooden dialogue. It seems that the actress is not entirely convinced by the script and appears uncomfortable, especially in moments talking directly to camera. In the TV drama series The Take (2009), she produced a powerful and emotive performance alongside established Hollywood actors such as Brian Cox and her real-life fiancé Tom Hardy. It is a shame to see her underwhelmed and placed in this acting straitjacket of a role. There seems to be a bad habit creeping into contemporary horror cinema of prolonging atmospheres of suspense to an extent that becomes boring or building itself up to disappointingly fall to an anti-climax. The best and most shocking moments of the film come in Ruth’s psychic flashbacks of executions. They are violently graphic and Stone should be credited for not turning the camera as other filmmakers may have. It suggests that we are in for more of the same with deep suspense leading to horrific consequences. Instead, the film procrastinates and, by the time something significant happens to one of the characters, you have already stopped caring. So has the found footage format been over-used to an extent that it is no longer distinctive enough and requires something more to stand out from the crowd? While the creepiest and most disturbing moments of the film come in the use of found footage, Stone tries to interweave this approach with more conventional camerawork but ends up compromising any sense of drama or suspense. The constant switch between the two styles takes you in and out of the film’s diegesis, making for annoying and frustrating viewing. The overstated acting is non-naturalistic for found footage filming but appropriate for more conventional filming and results in a mismatch of direction and performance. Scenes are fast and frenetic but cutting between two scenes of polar opposite designs puts the handbrake on the action. It often feels like an attempt to please both fans of found footage and those who don’t enjoy the style but it ends up pleasing neither. 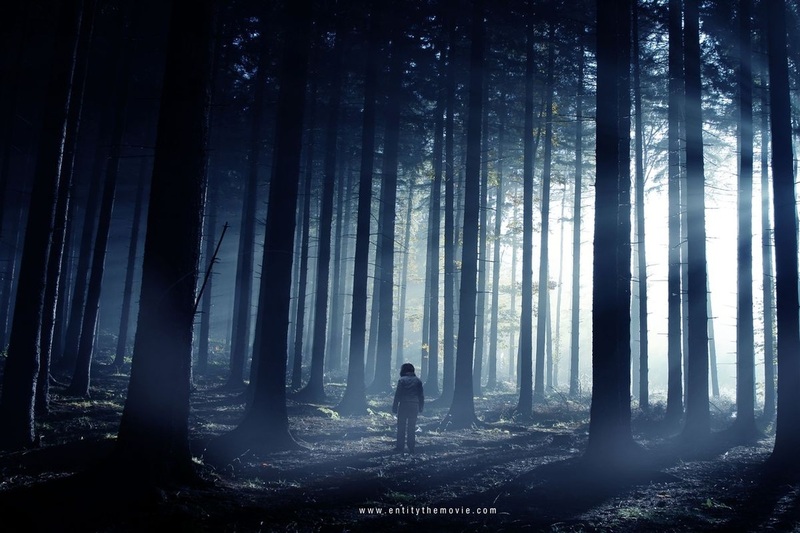 The idea of found footage is nothing new, of course, evident in commercial and critical successes such as The Blair Witch Project (1999) and [Rec] (2007). We know the events aren’t real, despite how much the filmmakers want us to believe so, and thanks to the cinematic sleeping pills of the Paranormal Activity sequels (2007 -2012), there is argument for whether or not the method is still effective or can have the same impact it once did. 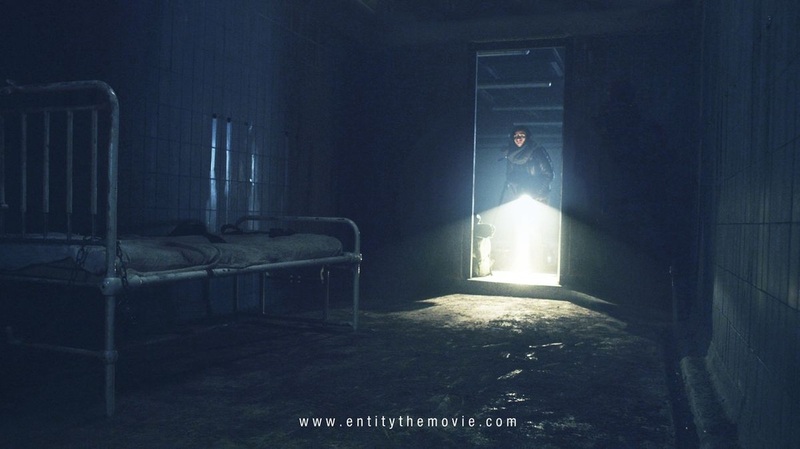 Entity is a 20 minute short film overstretched to 89 minutes and scares and jumps are too few and far between. The pacing is pedestrian and struggles to encapsulate any sense of intrigue or fear. Unfortunately, it is more likely to send you to sleep than give you sleepless nights.